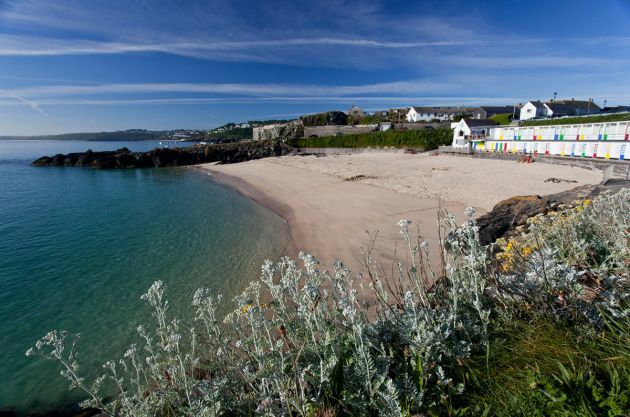 There are few towns anywhere which can rival St Ives for both number and quality of beaches. 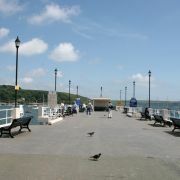 There are no less than five beautiful sandy beaches within easy walking distance of St Ives town centre. 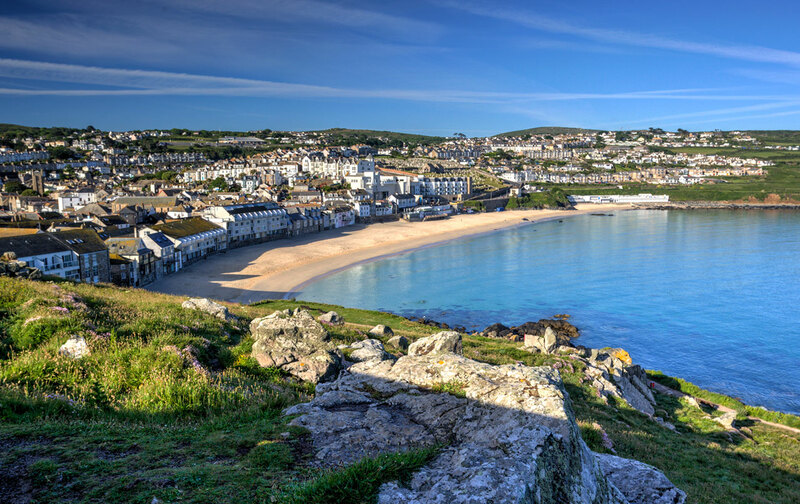 St Ives has few rivals for the crown of Cornwall's best beach town. Whilst Newquay has its fair share of beaches it can't boast quite as picturesque a backdrop of the old fishing port of St Ives. The fine golden sand and turquoise waters of St Ives Bay are some of the cleanest in Europe with at least two regularly receiving the coveted Blue Flag awards. The beaches are generally safe with lifeguards patrolling throughout the season. There is variety too. From family beaches with sheltered bathing and rock pools a plenty to surfing beaches facing into the full might of the Atlantic Ocean. A little further afield you will find vast expanses of sand that if you’re lucky you may get all to yourself. Perhaps the most popular of St Ives beaches is Porthmeor. Situated directly in front of the Tate Gallery and only 5 minutes walk from the town centre this is certainly the town's most dramatic beach. Flanked by the imposing headland of the Island (which isn't an island at all) to one side and the aptly named Man's Head to the other Porthemor faces into the full force of the Atlantic Ocean. Whilst the sea is generally quite calm here in the summer it is one of the area's most consistent surf spots throughout the rest of the year benefiting from being offshore in the prevailing south-westerly wind. The best surf spot on the beach is 'the Boiler', so named as it breaks over the remains of an old shipwreck. There are plenty of facilities here including a surf school and the top notch Porthmeor Cafe. Along with seasonal lifeguard cover it is little surprise that this beach has been consistently awarded Blue Flag status. 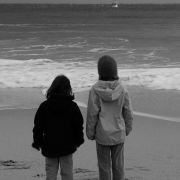 For all these reasons Porthmeor is a great family beach. It also has a little stream running down it and rockpools at the western end to keep the kids entertained. 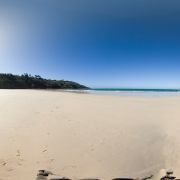 Located directly next to the train station Porthminster is another long sandy beach. However, it is quite different to Porthmeor being around the corner and far more sheltered. With a backdrop of lawns and a steep wooded slope to which elegenat Victorian villas cling Porthminster has a civilised air to it. Again, there is an abundance of facilities here with the crowning glory being the highly regarded Porthminster Cafe - known for serving fine food on the beachfront. Porthminster is ideal for families as it offers safe, lifeguard patrolled waters and is another regular recipient of the Blue Flag award. 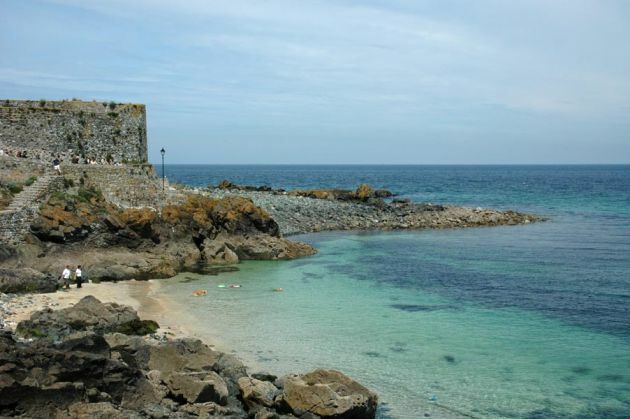 As the name suggests this beach is situated between the granite piers that form St Ives' harbour. This is still a busy working port with activities split between fishing and tourism these days but there's always something to watch. 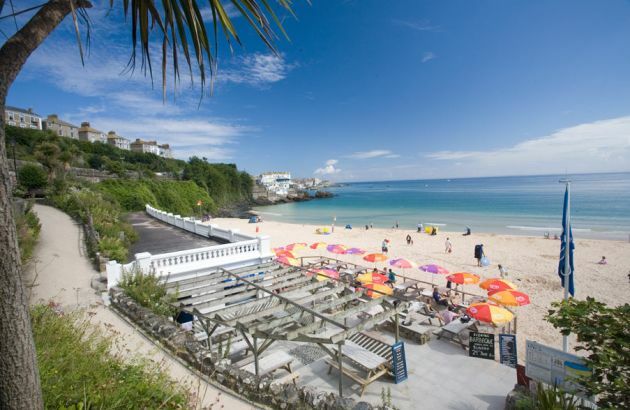 This is the town's most central beach and backs right onto Wharf Street with its many cafes and shops not to mention St Ives' oldest pub, the Sloop. Being a harbour the beach is sheltered and safe for paddling, although the boats may be a hazard. At low tide the harbour beach joins up with Porthminster to form a mile of sandy beach. Porthgwidden is a small sandy cove situated on the opposite side of the headland to Porthmeor. It is sheltered from both the wind and much of the waves that often batter Porthmeor making it an ideal spot for a bit of sunbathing and a dip in the ocean. 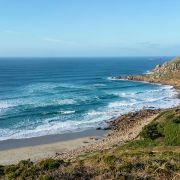 There are plenty of facilities including toilets, the Porthgwidden Cafe and a snack shop. There are even beach huts for hire for the real beach aficionado. The large car park directly behind the beach make this beach one of the more accessible choices. 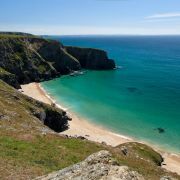 Just around the corner from Porthgwidden is the almost hidden Bamaluz beach. 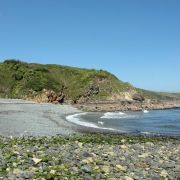 The beach here only exists at low tide and is accessed via steep steps from in front of the town museum at Wheal Dream. This little secret cove is where Phil Moran's story of Soggy Bear begins. Just off the end of Bamaluz beach is one of St Ives' best but most inconsistent surf spots - The Breakwater. 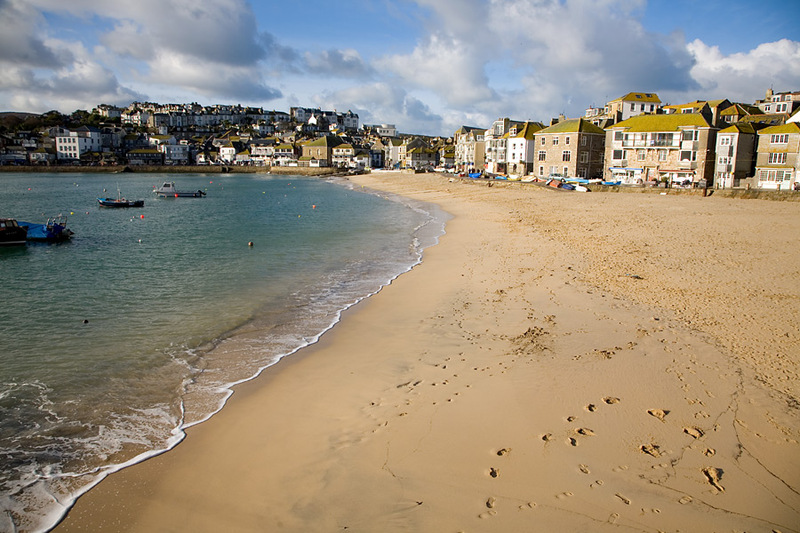 Most of the main beaches in St Ives are off limits to dogs from Easter Day to 1st October. However, dogs are allowed on Bamaluz beach throughout the year and some of the nearby out of town beaches.